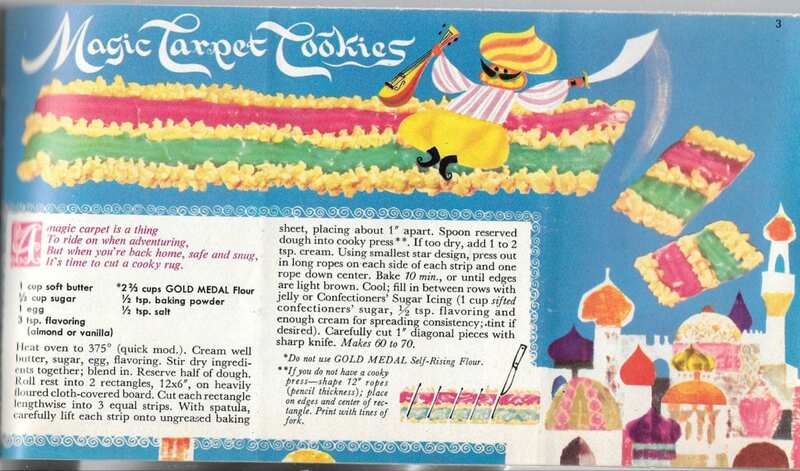 Magic Carpet Cookies from Betty Crocker’s Bake Up a Story: A Cook’s Tour Through Storyland: Colorful cookies with a fun story and rhyme from Gold Medal Flour. 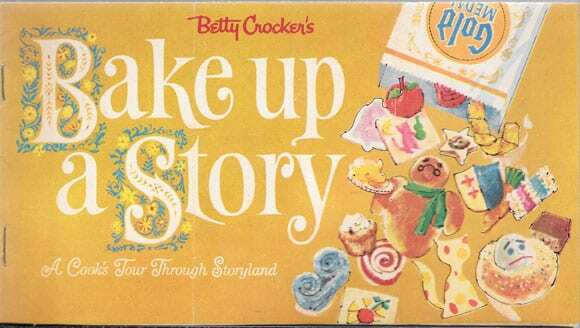 Betty Crocker’s Bake Up a Story: A Cook’s Tour Through Storyland: This is a charming cookbook-let that probably came in a Gold Medal flour sack. 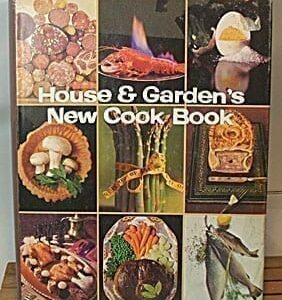 It is in as-if-new condition. 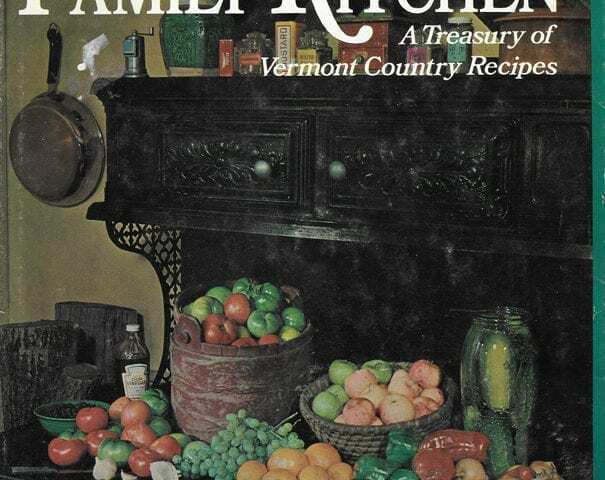 The recipes are for baking cookies, pies, quick breads, cakes, yeast bread, and snacks–all story book related, and all with charming illustrations and often funny rhymes. 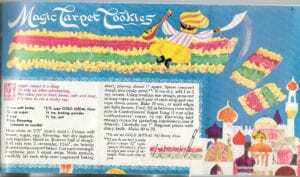 Recipes include Magic Carpet Cookies, Sugar Plum Dreams, Good Fairy Cookies, Gingham Dogs and Calico Cats, Storybook Dough, Silver Bells and Cockleshells, Camelot Cookies, Picture Block Cookies, Tarts, Flaming mince Pie, Frosty Pumpkin Pie, Jam Dandies, Cheery Cherry Nut Bread, Jack-Be Nimble Date Cake, Humpty Dumpties, Sesame Seed Coffee Ring, Tom Thumb Pizzas, and Ha’ Penny Snacks. The booklet doesn’t have a date, but I’m guessing 1960s based on the illustrations. 20 pages. Again, as-if-new condition. It is difficult to find. Rare. 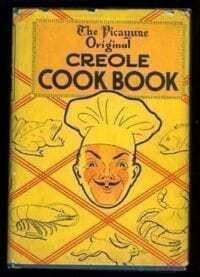 Your children will love these recipes! Many of them are Christmas-related.